Influential FM rock revivalists The War On Drugs return with their 11-minute new song Thinking of a Place, their first new, original material since 2014’s breakout album Lost In The Dream and their debut for Atlantic Records. 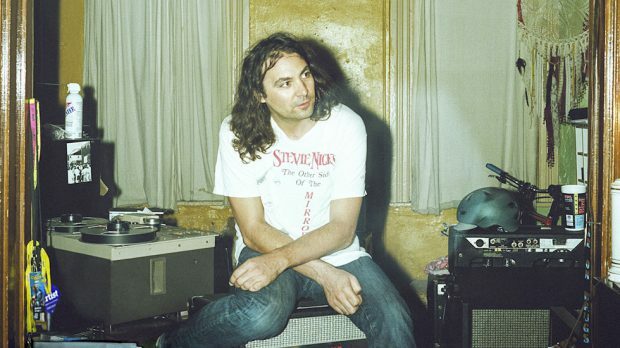 Thinking Of A Place was produced by The War On Drugs’ Adam Granduciel and recorded and mixed by Shawn Everett. It was released as a limited edition, vinyl-only Record Store Day exclusive and is out now. Thinking Of A Place is already garnering steady praise for the outfit fronted by former Kurt Vile and the Violators member Granduciel. Joining him are longtime core members Dave Hartley, Robbie Bennett, Charlie Hall, Anthony LaMarca and Jon Natchez. Expect news of The War On Drugs’ fourth full-length album to be coming soon. Thinking Of A Place is out now.